Cancer Awareness & Detection Camp was conducted by Vikasa Tarangini Guntur in Tadepalli area from 10 am to 6 pm in association with NRI Hospital. Doctors Priyanka, Suneetha, Maitri, Swapna and technicians Subba Rao, PRO Prasad participated and offered free medical advice & service. 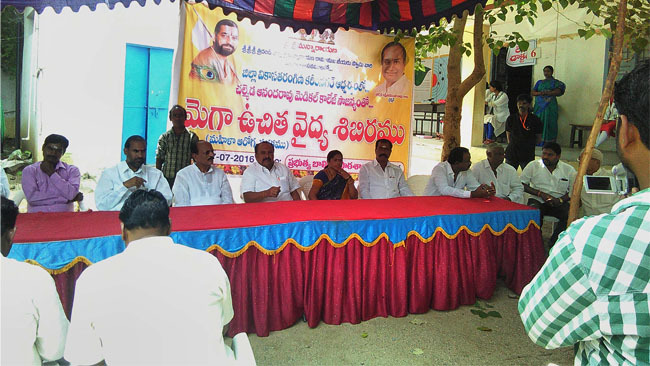 Vikasa Tarangini Guntur President Sriman Mallikarjuna, Secretary Sriman Peddi Ramana rao attended the free camp. With this camp, the number of people surveyed in Tadepalli reached 1000.